The days blur together when you work for yourself. It doesn't matter if it's a Saturday or Tuesday. It reminds me of school days when we had summers off. You could do anything or you could do nothing. You had blissful freedom for the summer, but eventually you had to go back to school. But not this time. I graduated from university years ago. It took years to find my path, but that's the truth about life after university. There's no corporate job to go back to; I quit in June! I'm working to build this for the long-term. Sorry, Mom! At first glance I looked at my July Income Report & was disappointed. For the first time in six months, my income did not increase compared to the previous month. I beat myself up about it. I was bummed out & disappointed. But then I truly looked at the numbers. I took out my income spreadsheet & compared everything. Every detail. Income. Expenses. Taxes. Net income. Income stream trends by month. You know what I realized? Because I paid over $300 in product purchases for June, I actually ended up earning more net income in July. Moral of the story: Look at your results over time, not day to day. Look for trends. Diversify your income. Find both passive & active means of income. Don't beat yourself up. Learn & reflect. Move forward. Note: I base my coaching & blogging income report on earnings that were deposited into my bank account during that month. I did a couple projects in July that have yet to be paid out, therefore I will take that into account for my August Income Report. I had an epic month for coaching. My absolute best. As a coach, I teach, listen, & empower people one-on-one to enhance their blogs, their social media presence, & their brands. I'm strategizing how I can make coaching a bigger part of my income. Learn more about my coaching & how it could help you! Linqia was an enormous part of my blogging income in June, the biggest to date, but July didn't see the same numbers. I received payment for Beauty, Health, & Makeup: New Products I'm Excited About, my second campaign with Grocery Outlet. I worked with Grocery Outlet in March for this post. I got final payout from my Things To Do in Torrance, California: A 24 Hour Travel Guide post, which was shared by the mayor of Torrance on his Facebook Page! July was the first month earning anything from Amazon Associates. Amazon Associates is an affiliate network with Amazon. I can include links on my blog/social media to think I'm talking about; if someone buys from I can make a small commission. I earned $19 dollars in 30 days, & it takes 60 days to pay out. Not super lucrative but income is income. Everything counts & this is definitely something I'd like to finesse over time. There is potential to earn more. I haven't done any advertising in quite a while, so I decided to boost a couple posts on my Facebook Page for an additional reach & engagement. I need for to check out Linqia! Thanks for sharing! 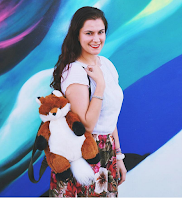 I tried out Amazon Associates a while ago I think, but it was not good timing at all, as I ended up falling off the wagon with blogging, lol. I've never heard of Linqia, I'll check it out! You go girl! I love reading people's income reports. It's always so cool to see things like this - we're building our travel blog right now, and are hoping to turn it into a more legit side-hustle. Thank you for sharing!! Great job on the blog coaching and keeping costs low! wow! hope to earn like that. this is amazing and helps us so much! thanks for being so transparent and sharing this with us! This is a great post - would love to start earning like this! You can't beat yourself because your numbers didn't increase from one month to the next. We're approaching our busy blogging season. That will make up for the loss. Besides, you're doing great! Great job, awesome to see other bloggers doing well! Great post. These types give a lot of insight! this is such a great post!! You do awesome! Congrats on a good month. I'm going to have to check out Linqia. Thanks for sharing. 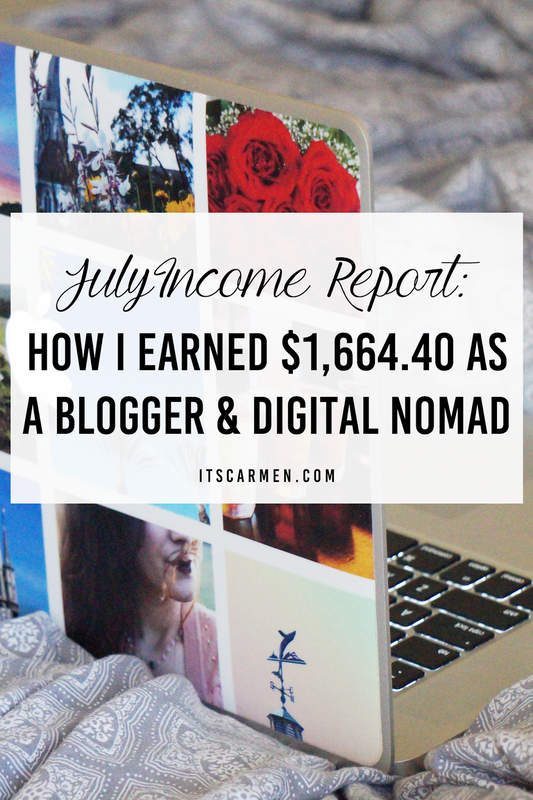 Great job - love being a digital nomad. I love reading your income reports -- keep up the good work! I go all my accounting in Wave so it shows me YTD totals so I don't get too caught up in the timing of stuff. Like you, I could spend a lot of money one month for recipes but then spend very little in the next month. Congrats on a great month! Thank you for sharing the different ways you make an income. it helps me to think outside the box as well. You're very welcome! Thanks so much for reading, Jennifer!